As advocacy groups and open internet defenders in Congress continue their efforts to repeal the Republican-controlled FCC’s attack on net neutrality, the mayors of 11 cities have signed a new pledge vowing to refuse to do business with internet service providers that don’t support net neutrality. Titled the Cities Open Internet Pledge (pdf), the initiative was first introduced by the mayors of New York City, Austin, and Portland, Oregon on Sunday during the South by Southwest conference in Texas. 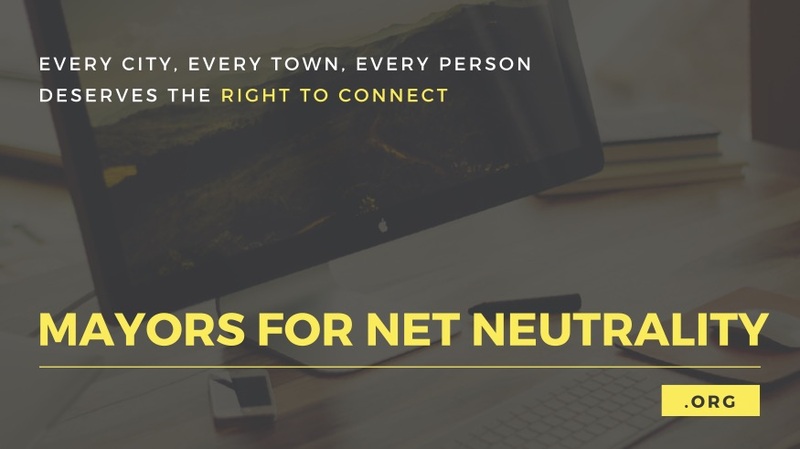 “We each commit our city to take all available steps to ensure the internet remains open and to keep gatekeepers from throttling, blocking, or limiting government content on the internet to the extent permitted by law and within our control,” the pledge reads. “By signing the Cities Open Internet Pledge, mayors are posing a direct challenge to the FCC’s wrong-headed decision to gut net neutrality protections,” said Timothy Karr, senior director of strategy for Free Press, which teamed up with the coalition of mayors to launch MayorsForNetNeutrality.org, where supporters of net neutrality can sign a petition calling on city leaders to sign the new pledge. The new initiative comes as the FCC’s attack on net neutrality—spearheaded by agency chair and former Verizon lawyer Ajit Pai—is facing challenges on numerous fronts. As Common Dreams reported, Washington last week became the first state in the nation to implement a law protecting net neutrality from the federal rollback. The Senate, meanwhile, needs just one more vote to pass a Congressional Review Act (CRA) resolution that would restore net neutrality by repealing the FCC’s rule. If it passes the Senate, the resolution will move to the House, where it will need 218 votes.